Combining speed and a large temperature measuring range, the new thermoIMAGER TIM G7 is an industrial thermal imaging camera specially designed for applications in the glass industry. The spectral range of 7.9µm enables reliable measurements even on thin glass sheets without unwanted transmission loss. The new VGA model offers a resolution of 640 x 480 pixels. 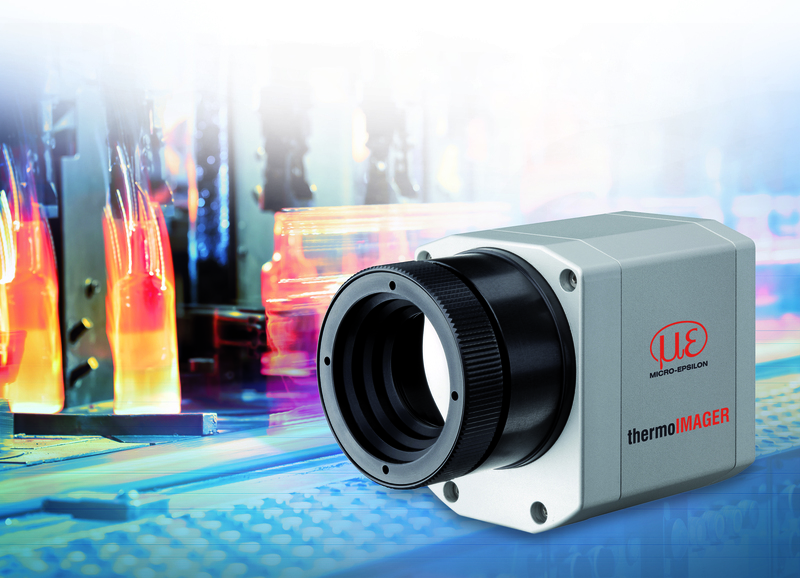 The modern thermoIMAGER TIM G7 infrared camera is by now available with a VGA resolution of 640 x 480 pixels. This thermal imager is especially designed for the glass industry and used for real-time temperature monitoring in production, finishing and further processing of glass sheets, bottles, displays and other glass products. It provides a large temperature range from 200 °C to 1500 °C and is therefore suitable for monitoring different steps of production. This temperature range, the high image frequency up to 125Hz and the line scan feature enabling measurements of moving objects predestine the thermal imager for almost any task in the glass industry where usually high cycle speeds are required. The process interface and the TIMConnect Software included in the scope of supply enable the integration into existing control systems. Output options are analog, digital via USB 2.0, or GigE. The software includes a line scan camera feature which enables to detect the temperature cross profile of moved objects line by line even when the field of view is restricted. In this way, the distribution of hot and cold zones can be monitored and, if necessary, heating or cooling elements be adjusted accordingly. This helps to avoid tensions and deformations of the glass which would involve visual defects. If the glass has a reflection coating, an additional reference pyrometer can be integrated in order to readjust the thermal imaging camera. The thermoIMAGER TIM G7/VGA can also be operated in ambient temperatures up to 70 °C and when equipped with a cooling jacket, in ambient temperatures up to 315 °C.